It’s awesome to be in touch with all these other fantastic travel bloggers around the world and to see what they’re all up to – up next in the featured travel blogger series is Sophie, an English girl who’s recently been exploring the world down under! HI, CAN YOU INTRODUCE YOURSELF? I’m currently in Sydney and flying back to the UK this week. I have been travelling with a friend across New Zealand and down the East Coast of Australia via bus, train and campervan. Ever since I was small, my parents were able to travel a lot with my brother and me. We visited many European countries such as Italy, Spain, Portugal and Greece. Subconsciously I think this made me curious about travel and when an opportunity to volunteer at an orphanage in Vietnam arose when I was 18, I decided that it was such a great opportunity, I should seize it with both hands. I am currently heading home next week back to England, but after that my travel plans are to go and visit some more of Europe. I would love to visit Italy again, Bulgaria, Denmark and Germany. Many British citizens don’t take advantage of Europe as much as they should – everything is so close! I am hoping to take the boyfriend away in January as a secret but I can’t say where in case he reads this! Vietnam: I visited Vietnam in 2010 after I had signed up to do a volunteering expedition with my sixth form. 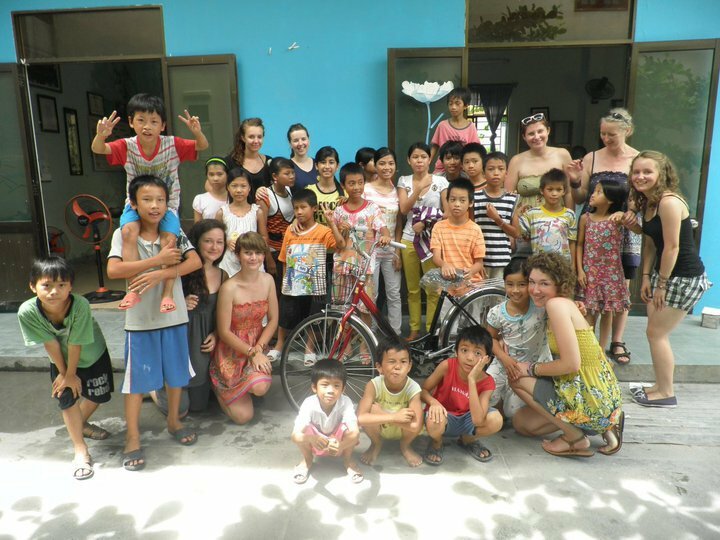 I volunteered in an orphanage and then travelled across Vietnam. It was an incredible experience and even though it was daunting at the time, it really opened my eyes to the world around us and made me even more passionate about travel and experiencing other people’s lives and cultures. I know I’ll be back to Vietnam soon. 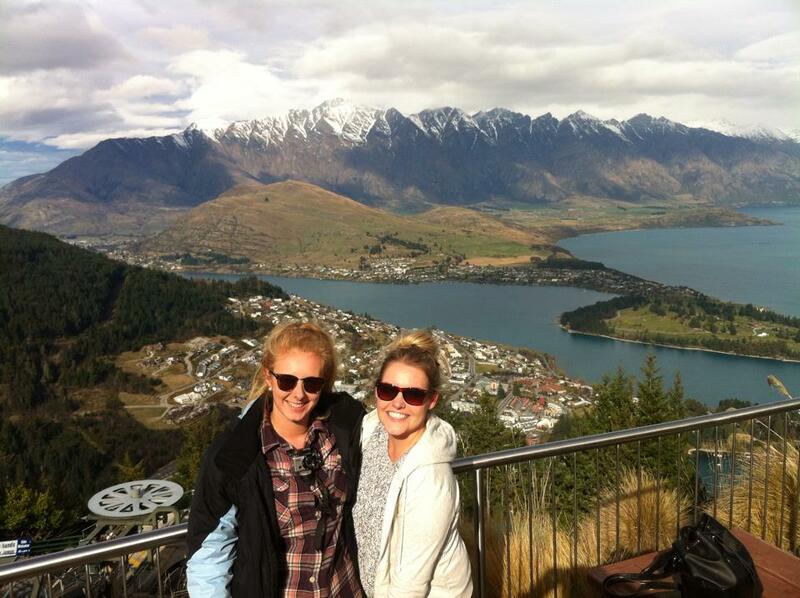 New Zealand: This country is like no other I have visited. It is so beautiful you have to pinch yourself to remind yourself that you are still alive. I spent five weeks backpacking around New Zealand with the Kiwi Experience bus and experienced so many different landscapes and views from the sand dunes to the north, the ski slopes in the south and the rolling hills of Hobbiton. It is such a diverse and spectacular country with so much to offer with every kind of adrenaline activity you could imagine. Australia: Even though I barely scraped the surface, visiting only the East Coast, I feel like I fell in love with Australia. The abundance of activities is incredible. 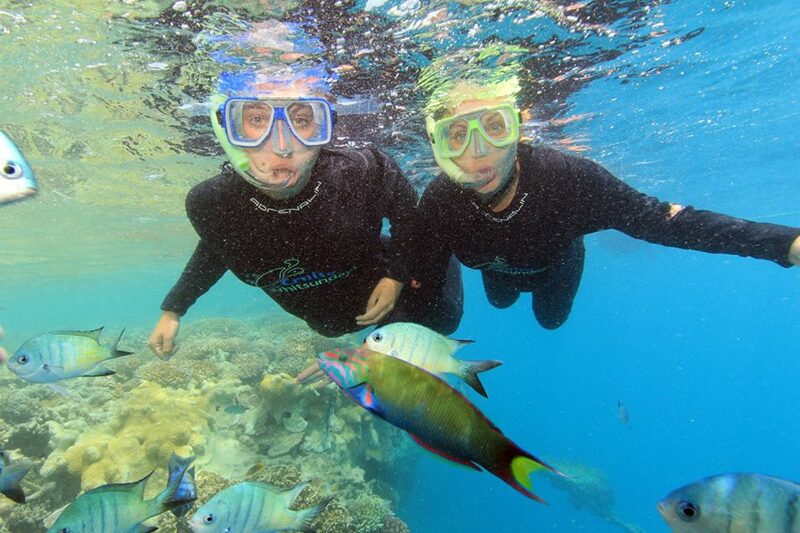 From Fraser Island to the Great Barrier Reef, from the Whitsundays to Cape Tribulation and from Sydney Harbour Bridge to the Brisbane Parklands there is just so much to do. Australia is such an amazing country and their way of life is just incredible. I’d never avoid anywhere intentionally as I have always believed you should give a country or a place a chance to impress you without prior judgement, however if I was told somewhere was unsafe for me to travel, I would probably avoid it. 13. What are your top 5 travelling items? Talcum powder – has a million uses but the main one is dry shampoo. Paracetamol – My immune system isn’t the best and getting stomach aches or headaches is a common occurrence for me. Paracetamol is always on hand to sort me out so that I can go and enjoy my day! Earplugs – having lived in hostels for the past three months, these little guys have become my best friend. Bring on a good night’s sleep! iPhone – no trip is complete without being able to upload your photos instantly to Facebook, Instagram and email them home. iPad – this wouldn’t have been in my life a year ago, but after beginning to blog more frequently, my iPad has become an essential. It lets me email companies, hostels and home and it also allows me to blog, schedule posts and upload photos and of course Skype home when I need a chat with Mum. Those that do not travel read only one chapter of a book. Wait till you’re older to travel, get a job now and get on the career ladder. You can travel later in life. 16. What do you miss most when you’re travelling? My boyfriend and my family. Family is everything to me; they support me, they encourage me, they lend a hand, they advise and they’re always there for me. They are my world and everything I do is to make them proud. 17. Hostel, Hotel or other: Both; it would depend on the trip. If I was with the boyfriend or the family I’d happily stay in a posh hotel but when I’m backpacking, a hostel all the way. Hostels are the best form of accommodation; however everyone wants a treat now and again. 18. Favourite food from another country: Thai Red Curry – I had the best Thai Red Curry on Koh San Road in Bangkok, Thailand. It was so incredibly tasty but also so, so hot (chilli hot) that we just had to keep eating it without stopping in order to be able to eat it all. The most tasty meal I have ever eaten but my god it was spicy! 19. Favourite mode of transport (plane, train, bus, tuk tuk etc): A bus is probably my favourite, as you can jump on and jump off and arrive at your destination and have a nap on the way. However, after hiring a campervan in Australia I would have to say I really enjoyed the freedom you get from hiring a campervan. 20. Guilty pleasure? : Reality TV shows. You name it, The Only Way is Essex, Made in Chelsea, Georgie Shore… And the soaps. Coronation Street, Eastenders and Emmerdale. I always catch up at least once a week when I am travelling when I have a spare evening to relax. 22. Favourite travelling soundtrack/What are you listening to at the moment? : Bastille on repeat. I love their album Bad Blood and love their extended album All This Bad Blood with the added tracks from their first compilation Other People’s Heartbreak. Some great songs to listen to on a bus or in the car. 23. Favourite travel movie? : There’s a few, but Lord of The Rings was a massive film influence for my trip around New Zealand this year with the landscapes, the nature and the movie sets. It definitely spurred on my wanderlust to visit the country after watching all the movies. However after that, Into The Wild. It’s such an inspirational but heart-breaking movie. 24. Favourite travel book? : I’m not a big reader, mainly because I am dyslexic but also because I never seem to have the time or the patience for a book. I’d love to be able to read a book and really get in to it but as of yet I haven’t. I am big on the travel magazines though such as Wanderlust and Conde Nast Traveller – they are massive inspirational material for my blog and my wanderlust. The Nomadic Backpacker is a travel and lifestyle blog about budget travel where I try to give honest tips and advice about the hostels I’ve stayed in, the activities I’ve been lucky enough to do and the amazing, or not so amazing places, I’ve been to on the way. It’s a good read for anyone who’s interested in backpacking, budget travel and wanting to realise their travel dreams! If you’re a travel blogger and would like to be featured next in this travel blogger interview series, please get in touch!